Worried by the spate of sudden death in the country, which claims about seven million lives annually, a team of Nigerian pathologists have urged Nigerians to always check their blood pressure and reduce their consumption of Western diets. The recommendations were based on findings from a ten-year national survey on the causes of sudden death in Nigeria, which showed high blood pressure, also known as hypertension, to be the leading cause of heart failure and sudden death in the country. Presenting their report during a symposium organised by the Nigerian Institute of Medical Research (NIMR) on 21 Tuesday, 2017, themed, “Sudden death in Nigeria: Public dissemination of national survey findings”, the researchers who divided their findings presentation into three segments, noted that if no urgent step is taken to stem the negative tide, the rate of sudden death in the country may double by year 2020. The study, which was conducted across the six geopolitical zones of the country, enrolled eleven tertiary medical institutions and one police clinic. 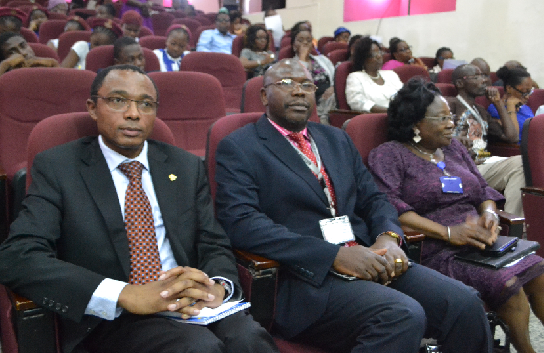 The research team comprised Dr S. Shoyemi from Lagos State University Teaching Hospital; Dr O.O. Odubela, Non-Communicable Diseases (NCD) Research Group, NIMR; Dr B. Iwalokun, NCD, Research Group, NIMR ; and Dr Clement Okolo, from University College Hospital, Ibadan. According to the researchers, a total of 642 cases of sudden death were autopsied during the review period, and the South-West region accounted for 70.9 percent of the total data used for the study. It was also noted that the population sample had more males than females, with the most prevalent risk factor identified as hypertension, which accounted for 52 percent of the cases. The findings identified risk factors of sudden death to include cardiovascular, respiratory and central nervous system disorders as the commonest causes, with the predominant factor being hypertension. Moreover, inadequate knowledge, perception and practice on sudden death and related activities were recorded among healthcare workers in the country. Based on their findings, the researchers proposed the following for national adoption: Advocacy to emphasise importance of autopsies; addressing socio-cultural barriers to autopsies; developing an algorithm for sudden death reporting in Nigeria; establishment of sudden death reporting in Nigeria; enactment and improvement of implementation of Coroner law and PME practices in Nigeria; development of key BCC messages to permeate the various cultural, religious and ethnic divides in the country; and development of biomarkers for early identification of persons with high risk factors of sudden death in the environment. While addressing pressmen at the event, the NIMR Director General, Professor Babatunde Salako, emphasised the essence of regular blood pressure check, noting that though hypertension is the easiest disease to diagnose, it is, unfortunately, the leading cause of sudden death in the country. He therefore urged all Nigerians to always seek the assistance of their caregivers to check their blood pressure as often as possible, in order to reduce the burden of sudden heart failure in the country. Addressing the participants earlier, chairman of the occasion, Prof. Andre Kengne, noted that Western lifestyle was impacting Nigerians negatively, leading to chronic diseases and sudden death. Visibly concerned about the situation, Kegne said: “We can’t afford to stand still, watching events unfold”, adding that “actions are needed from all stakeholders and citizens to stem this tide of sudden death in Nigeria”. Congratulating the team for a successful study, he pledged his full support to NIMR and the study team, promising to make more advice available to them, for proper dissemination to other countries in the region.